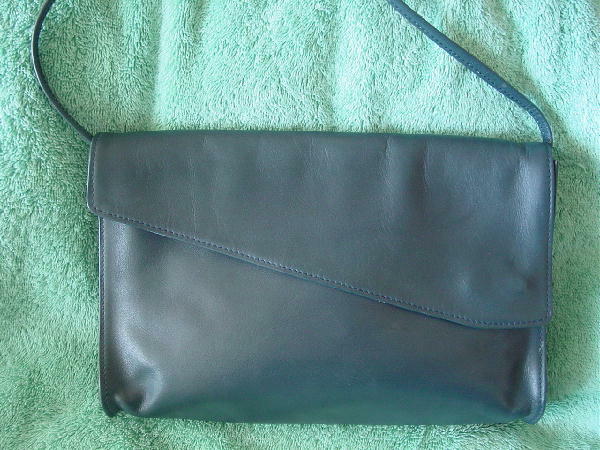 This dark blue 1980s leather purse has an angled envelope styling and a 37" long by 3/8" wide shoulder strap. 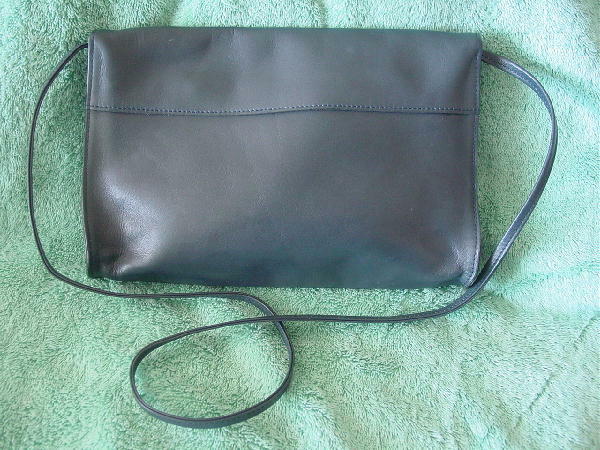 There is a magnetic snap closure hidden under the left bottom corner of the flap. 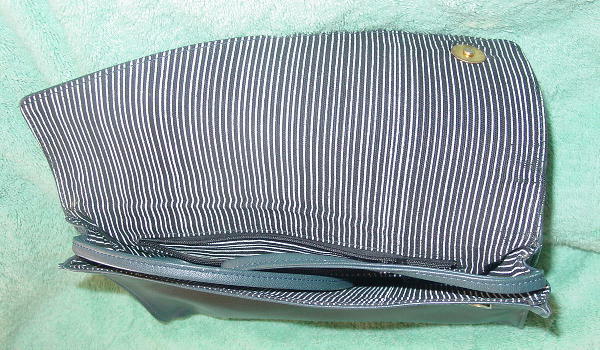 It has a black and white striped fabric lining with an interior zippered pocket.